Peter Robeson, “The Godfather of British showjumping”, has died at the age of 89. British double Olympic medal winning showjumper Peter Robeson has died at the age of 89. Robeson, OBE, (21 October, 1929 – 29 September, 2018) died just a month short of his 90th birthday. He has been referred to as “The Godfather of British showjumping”. His wins with his two main horses Craven A and Grebe were vast and included numerous Grand Prix titles in addition the King George V Gold Cup at the Royal International Horse Show in 1967. In 1956 he won team bronze at the Stockholm Olympic Games on Scorchin owned by Pat Smythe, and won Individual Bronze at the 1964 Tokyo Olympic Games with Firecrest. Robeson made a further Olympic Games appearance for Great Britain, the third being in 1976 at Montreal, where he finished just outside the medals placings. In a near 40-year career Robeson rode for Great Britain more than 80 times. In 1955 Robeson married Rothschild heiress, the late Renee Louise Marie de Rothschild, setting up home at their Fences Farm stud in Tyringham, Newport Pagnell. They were both successful racehorse owners and trainers, with Renee holding the licence. Their passion for racing continued throughout their married lives where Peter would ensure he had a day-to-day involvement in the stud, which was run under the guidance of trainer Stuart Edmunds after Renee died in 2015. 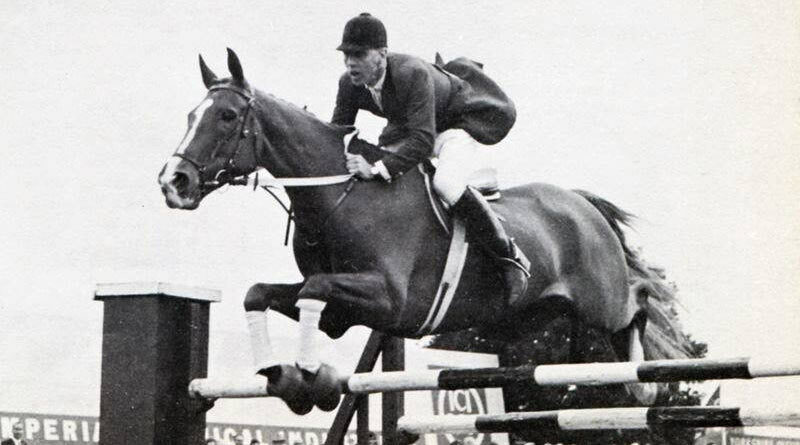 Robeson’s focus on equestrian sport also continued with both showjumping and eventing where he continued his involvement as an owner, coach and trainer with horses ridden by both Stuart and Stuart’s daughter. He was also honorary vice-president of British Showjumping. “It was a privilege to know and work alongside Peter who I can only term as a ‘legend’,” Edmunds said. Former International rider and World Class Performance Manager for Showjumping Di Lampard said Robeson was “the first classical horseman of our time”. “He was a perfectionist and a true professional. He rode with natural style and total empathy and his riding was an absolute inspiration to me”. A funeral service for Robeson was held in Tyringham on October 10. I had the privilege of working for this great man many years ago and was forever in awe at his wonderful quiet style of riding. His sense of humour, lack of any ego , and approachable personality made the job an absolute joy. Such a great horseman who was always willing to impart knowledge to many of my endless questions. I will remember him with great fondness.